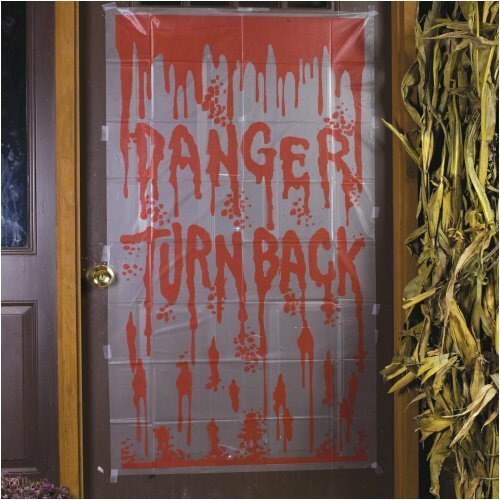 *One Plastic door cover 150cms tall x 75cm wide, featuring the words Danger! Turn Back! written in 'blood'? Clear plastic with red print. Great for windows! Use and reuse - These door covers will fold up neatly again until next year when adhered with blu-tac and carefully removed.